KANSAS CITY, Mo. — On Sunday afternoon Kansas City police officers found themselves investigating a fatal shooting for the third time in less than 24 hours. Around 3 p.m. officers were dispatched to 14th and White, where they found a black adult male, later identified as 21-year-old Curtis Andre Presley, shot to death in the sidewalk. It happened right by Chrystal Van Dunk's front yard. The grandmother and teacher was sitting inside her house when she heard people arguing outside. "I went out on the porch, and I said like, hey could you take that argument and stuff away from my house?" she recalled. Van Dunk says she saw a four-door sedan filled with people. Two of them got out, and she says a man wearing shorts and a hoodie shot Presley. "When I seen the blood came out, I was just like this is real. I came in and called 911," she said with tears in her eyes. As she dialed 911, Van Dunk said Presley knocked on her door before collapsing near the sidewalk. Once police arrived, they worked quickly to put up a tent to shield the Presley's body and the crime scene around him. "Given the rain, we want to make sure that we maintain the integrity of this crime scene as much as possible and any perishable evidence that might be washed away from the rain," Captain Lionel Colon explained. 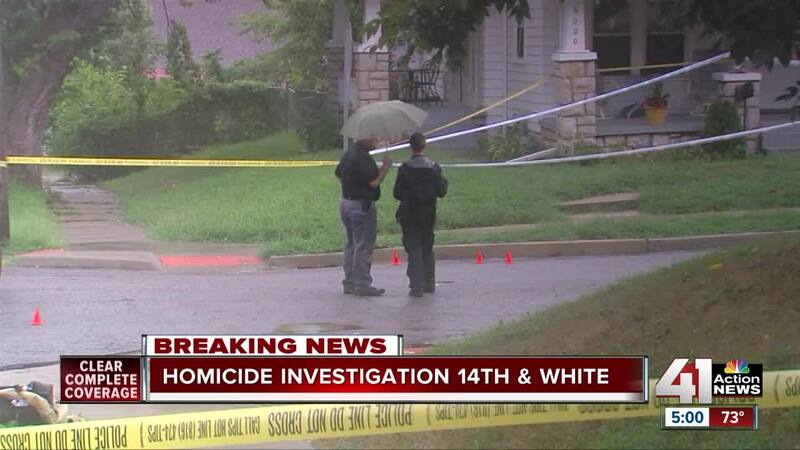 It was the third homicide scene of the day for KCPD. Around 3:30 a.m. they found a man's body on northbound I-435 , just south of Eastwood Trafficway. An hour later, another man was found dead in the street at 9th and Harrison . 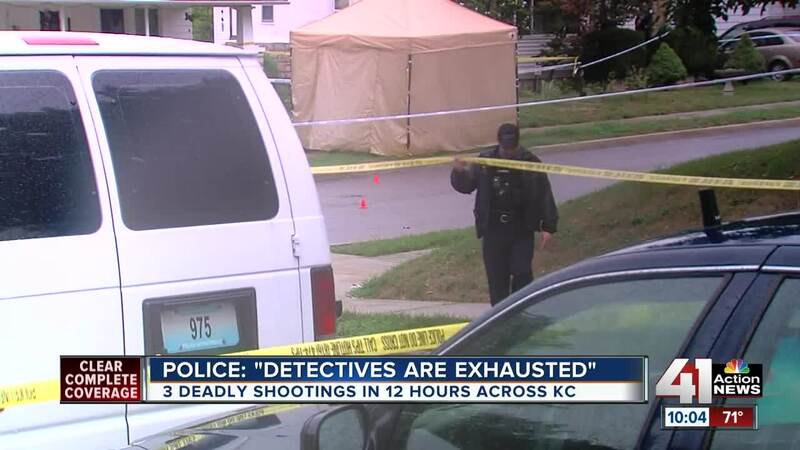 "I spent the week with a lot of these detectives...and they are exhausted. I mean that's just the easiest way to explain it, and they are frustrated, along with everyone on the police department and in the community," Colon added. Near the scene of the 14th and White shooting, investigators found a green Chevy four-door they believe is connected to the crime. As of Sunday night, they were looking for the driver or owner. The homicide total for 2018 is now at 85, compared to 94 at this time in 2017.